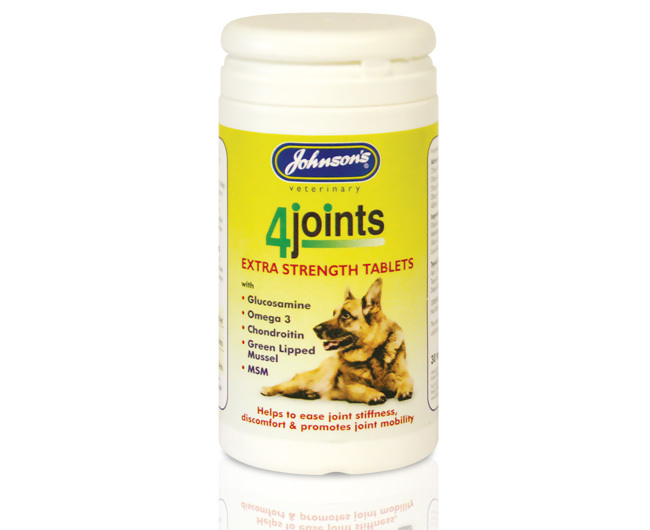 Johnson's 4 Joints Tablets are an extra strength nutritional supplement that promotes flexibility and joint mobility in dogs. They contain glucosamine, chondroitin, omega 3 and green lipped mussel plus a range of other vitamins. These tablets have been specifically designed to encourage movement in older dogs. Below are some recent questions we've received regarding Johnson's 4 Joints Tablets for Dogs, including answers from our team. Hi, Can you confirm the quantities of each of the ingredients please. Plus do you do this in a larger pack? The only size pack we do is 30pack of tablets.